An excellent way to recognize employees and organizations for their hard work, length of service, and innovations, while inspiring others, is with corporate achievement awards. These are usually given out each year at banquets, parties, or other events. Fortunately, The Sign Studio is one of the top providers of laser engraved corporate achievement awards in Los Angeles. Let’s take a look at what we can do for your next corporate event. Metal Awards – When you want to project longevity and professionalism, metal is your best option. This makes it perfect for recognizing workers’ decades of service or for other lifetime achievement awards. Our engraver is able to put your message on metal, but we typically suggest including a wood monument base with a plaque acknowledging the recipient. 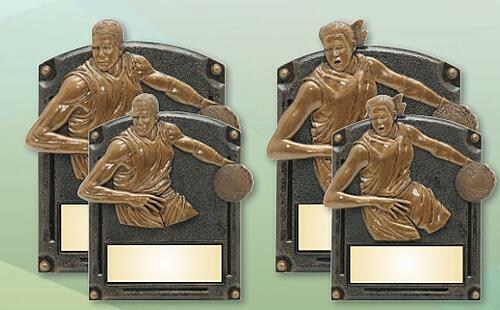 Metal awards are available with many different finishes in an array of colors. Crystal Awards – Crystal is a smart alternative when only the best will do. We offer a selection of shapes and sizes to pick from. There are also black, gold, blue, and other colored bases. We are sure to offer something that complements your business’s branding. 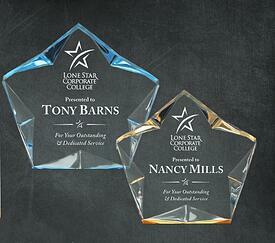 Crystal awards can be engraved with your enterprise’s logo along with your custom message. These fancy awards even come in a lined presentation box. Acrylic Awards – Acrylic is the way to go if you are trying to keep your costs down. These awards are virtually indistinguishable from glass or crystal. Plus, there is a range of fun effects we can create with acrylic thanks to its versatile nature. 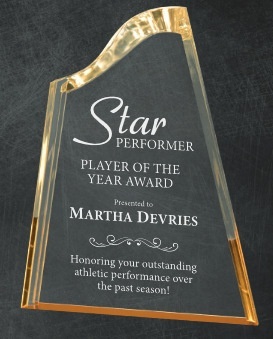 You might want to consider the Spectra series of acrylic laser engraved awards. They come in several sizes, are mostly clear, and have gold or blue hues throughout the piece. 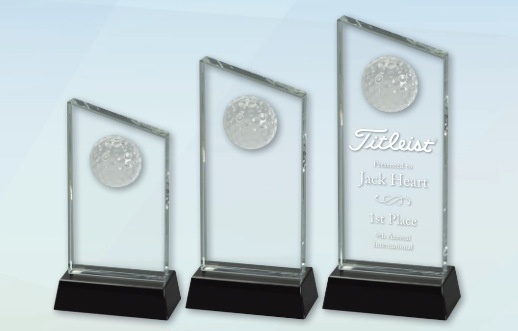 Another cost-effective solution is custom engraved acrylic paperweight awards. Glass Awards – At a more affordable price tag than crystal, you can get many of the same options with glass engraved awards. Most of these pieces also come with a distinguished presentation box. Glass awards come in curved rectangle, wavefront, scallop circle, diamond, and star shapes to name a few. There are also several different monument base alternatives, such as rosewood. The Sign Studio has you covered whether you are looking to recognize employees for outstanding sales and customer service achievements or you want to celebrate the contributions of your vendors, partners, sponsors, donors, other organizations, or anyone else. We listen closely to your vision for your project when you contact us. Then, based on your goals and budget, we make our recommendations. Before we even get started, we supply you with mockups of what the finished awards will look like. Lastly, we deliver your awards on time. If you are interested in recognizing the hard work of organizations and employees with corporate achievement awards in Los Angeles, contact our friendly experts today for a free consultation. When soccer players win awards at the end of the season, they like to show them off. Who can blame them? The easiest way to show off your individual or team success is with medals. We have a broad range of medal styles, including dog tags, stars, imperial, superstar, and more. You can also pick from over 45 different ribbon colors for your medals. Also, we can put whatever message you want on the medals using our laser engraver. Creating one-of-a-kind mock awards for each of your players is always a favorite option. We supply custom engraved plaques of every shape and size. We will also meet your budget with our variety of pricing points. 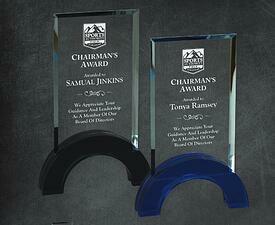 Standard, high-quality plaques are our most cost-effective alternative. Though, we recommend premium plaques if you have a little extra to spend. They include red alder, walnut, rosewood, and other solid wood plaques. 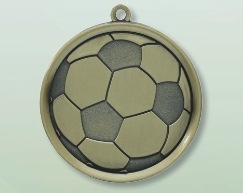 And, with premium finishes, you add an extra touch of elegance to your soccer plaques. Glass and crystal awards are the ideal way to truly show your appreciation if you have a larger budget. Yet, with much more affordable acrylic awards, you can generally achieve the same effect. These come in a selection of shapes, like octagons, stars, and pedestals with soccer balls on top. Plus, we have no problem laser engraving your custom message. Whether you are in need of trophies for children or adults, males or females, goalies or forwards, we have it all. Many of our trophies have small statuettes of soccer players in various action positions. Our trophies come in a range of sizes from four inches tall to massive 31 inchers. In addition, we can incorporate miniature soccer balls that actually spin. We can custom design trophies of any size, style, or color for your awards events. This year’s hot trophy features bobblehead soccer players going in for the winning goal. This is just a sampling of the solutions we offer. Give us a call if you have something in mind that is not covered above. We will give you an honest assessment of whether or not we can do it and how much it would cost. Even if your season is just starting, keep us in mind for your end-of-year awards ceremony. We will fabricate your awards correctly and in time for your event. Contact the friendly experts at The Sign Studio today for a free consultation and estimate for laser engraved soccer trophies in Los Angeles. We offer custom engraved plaques of all sizes and shapes. We also have a wide array of pricing points to meet your budget. The most affordable plaques we supply are standard, top-quality plaques. Or, if you are able to spend a little more, premiums plaques are always a good idea. They include solid wood plaques, such as rosewood, red alder, and walnut. 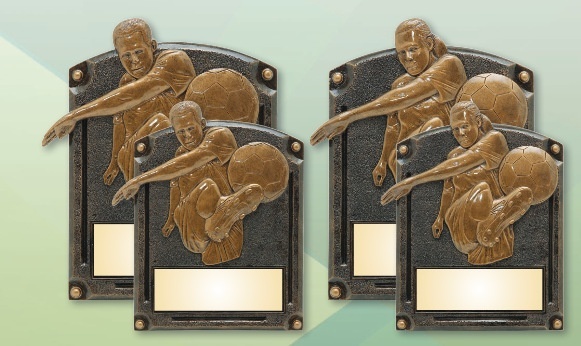 Add an extra touch of distinction to your little league plaques with premium finishes. 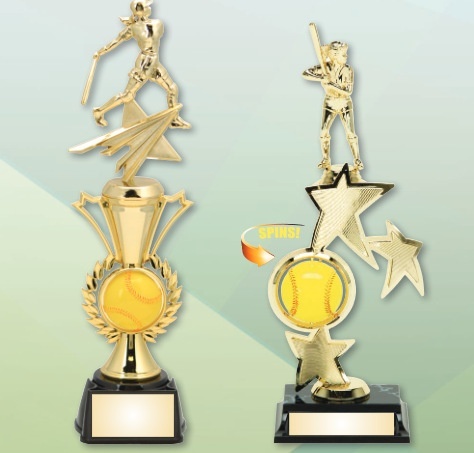 Whether you are looking for little league baseball or softball trophies, we have a wide selection for you to pick from. Our trophies typically range in size from 4 inches tall to 31 inches. We are able to incorporate miniature softballs or baseballs into them that actually spin. For your awards event, we can custom design trophies of any color, size, or style. The hot trophies for this year feature bobblehead batters. Many little leaguers like to proudly show off the awards they earned at the end of the season. The best way to do this is with medals that they can wear around town. Our medal styles include star, superstar, dog tags, imperial, and more. There are also more than four dozen standard ribbon colors to choose from for your medals. And, with our super-cool laser engraver, we can put whatever message you want on these medals. We recommend coming up with unique mock awards for each of your players. If you have a lot of money to spend, crystal and glass awards are the best way to truly show your appreciation. However, you can usually achieve the same effect with much more economical acrylic awards. These come in an array of shapes, including stars, octagons, and pedestals with baseballs or softballs on top. And, of course, we can incorporate your custom message. These are just some of the options available. If you have something in mind that we did not touch on above, give us a call, and we will let you know if we can do it. We know it is still early in the season, but we hope you will keep us in mind as you prepare for the end-of-season banquet. 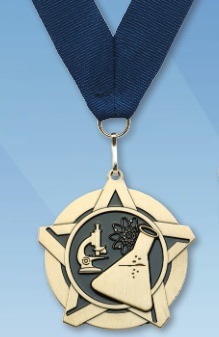 We are experienced in manufacturing your awards correctly and in a timely manner. For the best in laser engraved little league awards in Los Angeles, contact the friendly professionals at The Sign Studio today for a free consultation and quote.